Auxly is blaming FSD for under staffing and problems with the building; FSD is blaming Auxly for construction delays. The termination leaves FSD scrambling to finance and complete the project, and raises questions about Auxly’s streaming model. 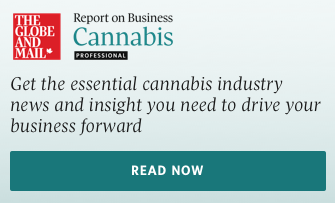 The break highlights the tenuousness of many partnerships cannabis companies have been eager to announce in recent years. Breach of contract accusations are flying in both directions following the collapse of a $55-million agreement between Auxly Cannabis Group Inc. and FSD Pharma Inc. last week. The two cannabis companies were working together to turn an old Kraft Foods factory in Cobourg, Ont., into a large indoor cannabis growing facility. FSD owns the factory, which already houses a small wholly-owned licensed grow-op; Auxly, formerly called Cannabis Wheaton, was in charge of designing, financing and contracting a 220,000-square foot expansion within the cavernous building. The two companies were meant to split future revenues from the expansion 50/50 – an example of Auxly’s “streaming” model, where it supplies upfront capital and expertise in return for a portion of future revenues. The deal’s termination leaves FSD scrambling to finance and complete the partially-finished project; Auxly was supposed to contribute $55-million to the build-out, but did less than $7.5-million worth of work before the deal fell apart. For Auxly, the collapse of the partnership – its second factory retrofit agreement terminated in recent months – points to the potential dangers of their streaming model, which relies on third-parties for basic operations. The break also highlights the tenuousness of many of the announcements that have been made in the cannabis space over the past two years. Early stage companies with no revenue and untested business models have gone public with enormous valuations, amid a barrage of press releases, promises and deal announcements. Many of these partnerships have come to nothing and have been quietly swept under the rug. Others, like the agreement between Auxly and FSD, have come apart in a very public fashion – a preview of what may become a more frequent occurrence over the next few years, as cannabis companies are forced to justify much-touted partnerships with real financials. In an interview with Cannabis Professional on Monday, Raza Bokhari, who was appointed FSD’s interim CEO last week, acknowledged his company’s history of making overly optimistic announcements. These include predictions that the company would create 1,500 jobs and produce 400,000 kilos of cannabis annually. "We have been cowboys before,” said Mr. Bokhari, a physician and entrepreneur from Philadelphia who has sat on FSD’s board since shortly after the company went public on the Canadian Securities exchange last summer. "We have to restate, to whatever we have said in the past, because those aren't facts... Today, we are going to predict and project things that we actually live up too." “People that were in the leadership at the time, the CEO and the CFO, both are no longer there. So we have held people accountable,” Mr. Bokhari added. As far as the recent deal collapse is concerned, both FSD and Auxly are claiming that it will not have a significant impact on their prospects. Mr. Bokhari said his company is already taking over construction work from Auxly. “We have a little over $20-million still in the bank. We have made strategic investments… [worth] $5-million or so … Today most of them are liquid and have a value north of $30-million. So we have access to that capital. And we have debt free real estate… we can also leverage that," Mr. Bokhari said. However, completion of the project is months away, even by Mr. Bokhari’s generous estimates. And it typically takes well over a year for facilities to receive the most basic cultivation licenses, let alone sales licenses. FSD’s 25,000 square-foot facility in the Kraft building, run by subsidiary FV Pharma Inc., was licensed to cultivate in the fall of 2017, and still has not received a sales license, due to “one or two crop failures,” according to Mr. Bokhari. For Auxly, the deal’s failure means one less streaming partner feeding its downstream network of businesses. However, the company’s CEO Chuck Rifici played down its importance. “It is a well known project of ours, but it’s certainly is not the largest nor does it represent a significant portion of our production. Since we entered into that agreement a year ago, we’ve continued to add additional partners,” Mr Rifici said, citing a large greenhouse project Leamington, Ont., that is under construction and a growing operation in Uruguay. FSD would have been Auxly’s largest indoor (non-greenhouse) growing operation. It’s also the second factory-conversion project the company has abandoned less than a year after announcing it. “Our model when it comes to cultivation is working with partners, and so we rely on our partners for obligations under agreement, and in some cases we end up where we end up now,” Mr. Rifici said.